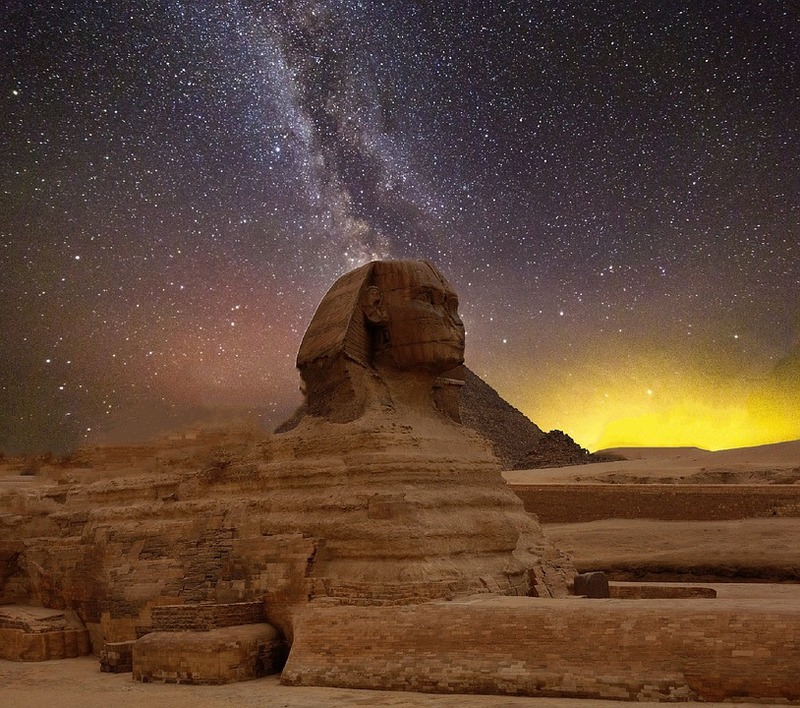 The Earth’s natural, cultural and geological heritage is captured at prime sites around the globe. There is a need to celebrate these prime heritage sites and encourage their custodianship. Why do we need to take care of our heritage? Celebrating and understanding the past can help us build a better future – for example we may not make the same mistake twice. 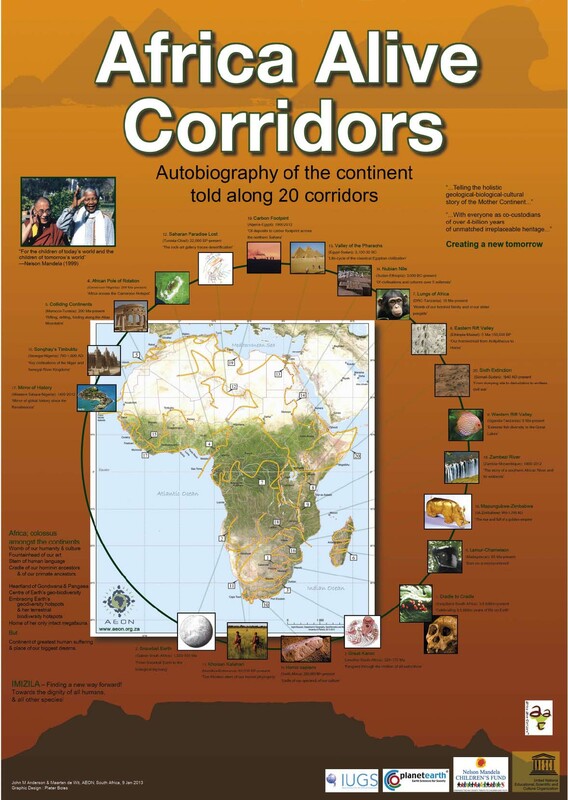 What are the Africa Alive Corridors? Dr John Anderson and Prof Maarten de Wit introduced the concept of connecting selected prime heritage sites into Corridors, with each Corridor telling a successive chapter in the Earth’s story. This concept has been widely endorsed by the scientific community at Gondwana Symposia. John Anderson and Maarten de Wit are developing the AFRICA ALIVE Corridor project under the auspices of AEON – the Africa Earth Observatory Network. The Africa Alive Corridor publications, tell the story of Africa’s autobiography along 20 prime heritage Corridors. The AAC project was launched in May 2008, in Arusha, Tanzania, at the African launch of UNESCO’s ‘International Year of Planet Earth’ and was selected as one of two Africa legacy projects. The first two publications include contributions from over 100 scientists and are soon to be published. The first publication provides and overview of the 20 Africa Alive Corridors – download the sample booklet in dropbox here. The second publication focuses on the Homo sapien Corridor which tells the story of the evolution of modern man better than anywhere else in the world. Why does Gondwana Alive support Africa Alive Corridors? We support AAC because it goes back billions of years and demonstrates through scientific evidence the inter-relatedness between geological, natural and cultural heritage. This epic story is a powerful reminder that we don’t live in a world of isolated silos that is easy to control, we live in an inter-connected world, and the only thing we can control is what we do in each moment and how we do it. Because all things are inter-related we need to make conscious, respectful decisions in each moment if we are to stem the “Sixth Extinction” and heal our home. Download our contributions on invasive species and first person short-stories here. •	The RIM of Africa trail runs along mountain chain that follows the length of the Homo sapien Corridor, and promotes celebration and conservation of a unique, mountain fynbos wilderness. •	The !Khwa ttu San Culture & Education Centre on the Homo sapien Corridor “celebrates the past and present to build a better future”.